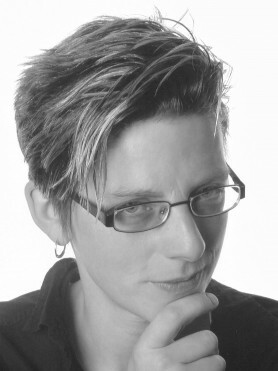 Clare Shaw is a writer with two poetry collections: Straight Ahead (2006) and Head On (2013), both published by Bloodaxe. Clare also writes in other genres including creative non-fiction: Some Girls’ Mothers (Route, 2008). Her play That’s Not the Way to Do It was staged at Leeds Carriageworks in 2008 and she has written and edited a range of resources on mental health issues, including including ‘Otis Doesn’t Scratch’ (PCCS, 2015) and ‘Our Encounters with Self Harm’ (PCCS, 2013). Clare is a regular tutor for the Poetry School, the Wordsworth Trust, the National Writers’ Centre for Wales, and the Arvon Foundation, who describe her as ‘one of the country’s most dynamic young poets’. She also works as a mental health trainer, researcher and consultant. Poetry and mental health might seem like very separate careers. They’re not. Where they meet is in Clare’s passion for language, a passion rooted in the experience of lacking the right words. Her work in mental health and poetry is fuelled by the conviction that everybody should have the opportunity to express themselves to the best of their ability. Clare Shaw speaks with Geoff Hattersley about poetry, mental illness and her drive to find light in the dark.